Soprano Róisín O’Grady has performed in recital and oratorio throughout Ireland and specializes in the performance of early music. Róisín studied at University College Cork where she took her B.A. (Hons.) in 2000 and B.Mus. (Hons.) in 2001. In 2004, she completed a Postgraduate Diploma in Concert Singing at the Royal Scottish Academy of Music and Drama, Glasgow. She received a First Class Hons. M.A. in Performance at the Cork School of Music in 2008. 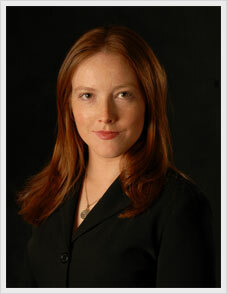 She was a member of and a soloist with the National Chamber Choir of Ireland for over two years. She performed with the choir throughout Ireland and toured Holland and The Lebanon. In 2011 they performed for US President Barack Obama in the White House on St. Patrick’s Day. Róisín has extensive concert experience in oratorio and recital including Vivaldi’s Gloria, Beatus Vir and Magnificat, Handel’s Solomon, Samson, Dixit Dominus, Ode on St. Cecilia’s Day and Messiah, Charpentier’s Mess de Minuit, Schubert’s Mass in G, Schumann’s Reqiuem, Haydn’s Little Organ Mass, Creation and Nelson Mass, Pergolesi’s Stabat Mater, Vaughan Williams’ Mass in G Minor, Allegri’ Miserere, Bach’s Christmas Oratorio, St. John Passion and St. Matthew Passion, Mozart’s Exultate Jubilate, Durufle’s Requiem, Saint Säens’ Christmas Oratorio, Fauré’s Requiem, John Rutter’s Requiem and Carl Orff’s Carmina Burana. She has performed with early music ensembles, choral societies and orchestras throughout Ireland and the UK including the RTÉ National Symphony Orchestra, the RTÉ Concert Orchestra, the BBC Scottish Symphony Orchestra, the Irish Baroque Orchestra and the Orchestra of St. Cecilia. She is a member of the early music duo tonos who performed in the John Field Room, NCH, the National Gallery of Ireland, Sligo Festival of Baroque Music, Derry Guitar Festival and were broadcast in concert by Lyric FM. She performed at the West Cork Chamber Music Festival in 2008. She regularly gives recitals with harpsichordist Malcolm Proud. Concerts include The Hugh Lane Gallery Concert Series, Dun Laoghaire Organ concert Series, Dublin International Organ Festival and Galway Cathedral Recital Series.